The Live Art Community Musical is a project which brings together a 'misfit' cast, drawn from an open-call. This group of approximately 20 participants work with us over a short period of time, to create a rendition of a well-known musical, in a one-time-only version that charges headlong into a bare knuckle fight with virtuosity, legitimacy and taboo. 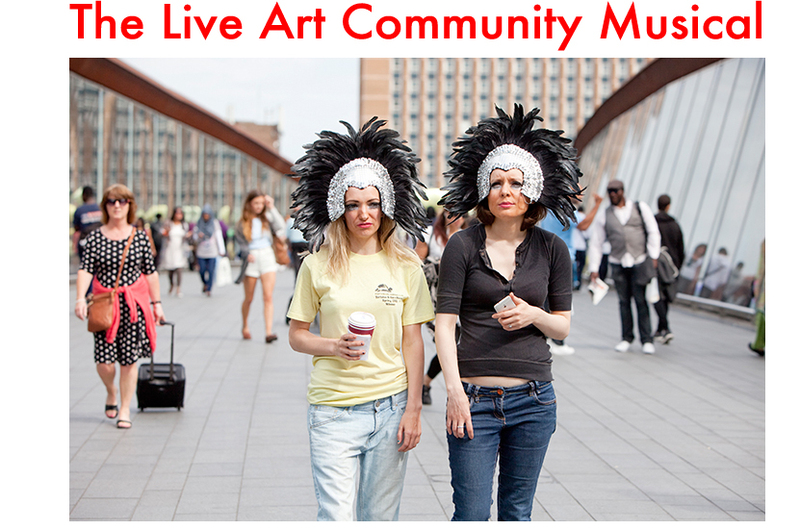 The Live Art Community Musical explores exertion, desire, cliché and the epic, and it skips its way through a toe-tappingly problematic landscape of stereotype - the kind we convince ourselves has been wiped clean off the map by now. It is an ongoing and adaptable project and has many musicals and communities in its sights. 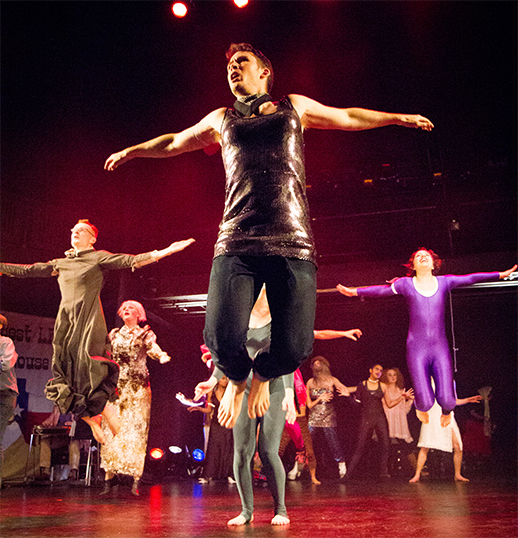 The world premiere of The Live Art Community Musical project was commissioned by SPILL Festival of Performance, and took place on The New Wolsey (Ipswich) main stage on October 31 2014. For the SPILL premiere, The Live Art Community Musical was The Best Little Whorehouse in Texas. A SPILL Commission presented in partnership with the New Wolsey Theatre. Co-produced by Cambridge Junction, ICIA University of Bath, Colchester Arts Centre, Norwich Arts Centre and Roehampton University. National Theatre Studio, Battersea Arts Centre, Nuffield Laboratory, Live at LICA and Queen Mary University of London.